Businesses that promote internal talent are 32% more likely to be satisfied with the outcome of their decision than if they hired externally, a recent report from Deloitte showed. These organizations also save up on costs associated with onboarding and warming up the new hire to company-specific policies, processes, and the workplace culture. Beyond financial gains, internal talent mobility reinforces a company’s employer brand, analysts said. It isn’t so much about preventing talent from leaving as it is about driving people’s ambition and performance. This culture of ambition and innovation is what defines global software company Oracle, itself an evangelist of internal talent mobility. “Oracle, like many large companies, has multiple opportunities internally – either for a lateral move to learn new skills or the option of being promoted within their existing business line,” said Alison Sibree, Oracle’s senior vice president of human resources for Japan and the Asia Pacific, in an exclusive interview with HR Tech News. Oracle recently integrated its cloud HCM platform with LinkedIn. The goal of introducing the professional network into the company’s HR system was to give leaders a better reading of their employees’ work goals, aspirations, skill sets, and endorsements, which are often on full display in a public forum like LinkedIn. These insights help companies align people’s aspirations with overall business needs, and these in turn help organizations succeed and retain top talent, Sibree said. 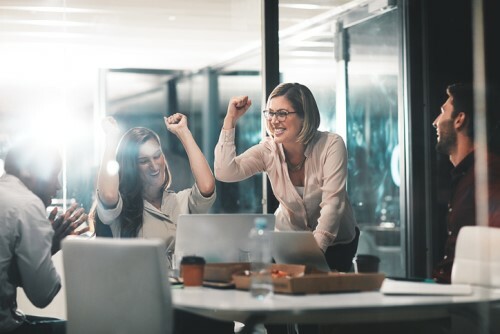 While a reliable technology stack has been the secret to Oracle’s internal mobility strategy, the company’s HR teams are the force behind successful job moves within. How can organizations succeed with their internal hiring strategy?